But it's still too much information, because I do not want see the whole url. I just want see the things between () like iphone or samsung. Like in other languages you can slice out a part of a string with regexp and address those parts in example with $1, $2, etc. Is there any possibility to just get them into the widget table or will I've to do it with events or something similar? Edit: As you see on this screenshot, I get the whole URL. But it looks like this regexp filter q=([^&]+) is really just for filtering the URLs and not for better result display. So I've to do it with events or dimensions. 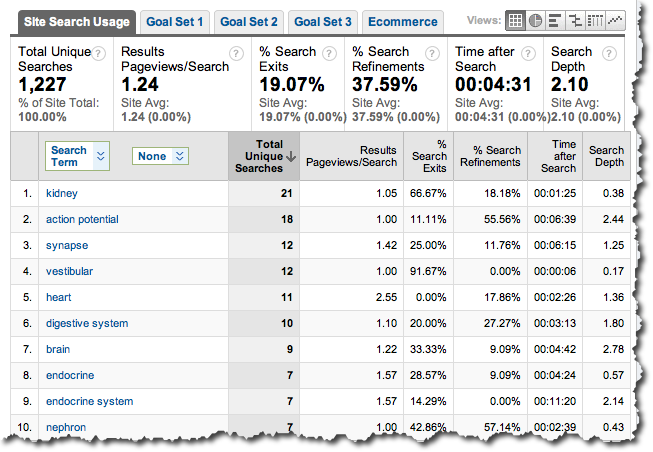 Google Analytics has a built in feature that will allow you to grab the data which you are trying to capture. Within Google Analytics, click the 'Admin' link (top right). Click the account that contains the web property and view for which you want to set up Site Search. Click the web property that contains the view for which you want to set up Site Search. Use the View menu to select the view that you want. Click the View Settings sub-tab. Under Site Search Settings, select Do Track Site Search. In the Query Parameter field, enter the word or words that designate an internal query parameter, such as "term,search,query". Sometimes the word is just a letter, such as "s" or "q". (for example: if the search URL looks like domain.com/?q= on your website, you'd enter just q in the query parameter field. Read more on the Site Search settings and set up in Google Analytics. There is also an illustrated step by step walk through of the process here. 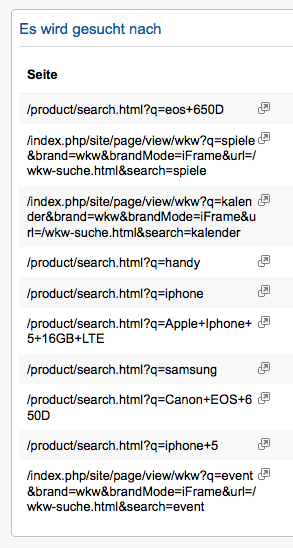 After enabling Site Search in GA, you'll be able to access a report (like the below screenshot) showing all the entered search queries on your website from the left hand menu. Which you can then subsequently create widgets from or segment as and how you wish. Google Analytics - how to track clicks on a screen? Google Analytics: How to track goal steps with events?